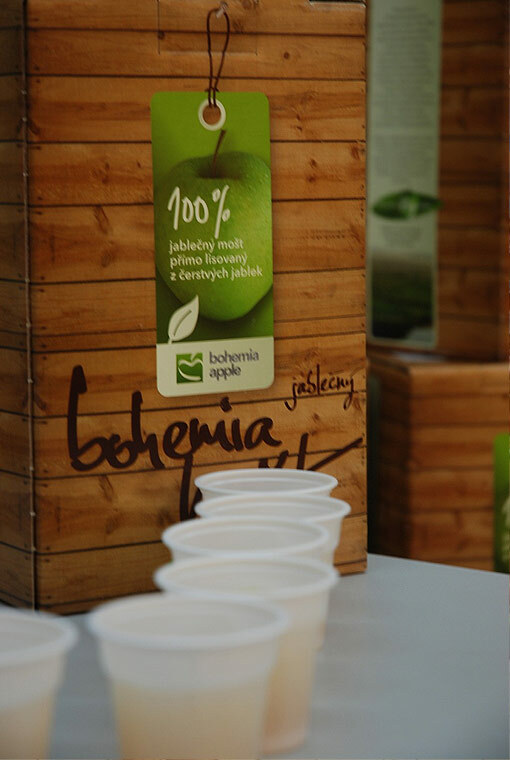 Bohemia Apple cooperative has introduced the new product in October 2011 named Bohemia Apple juice. 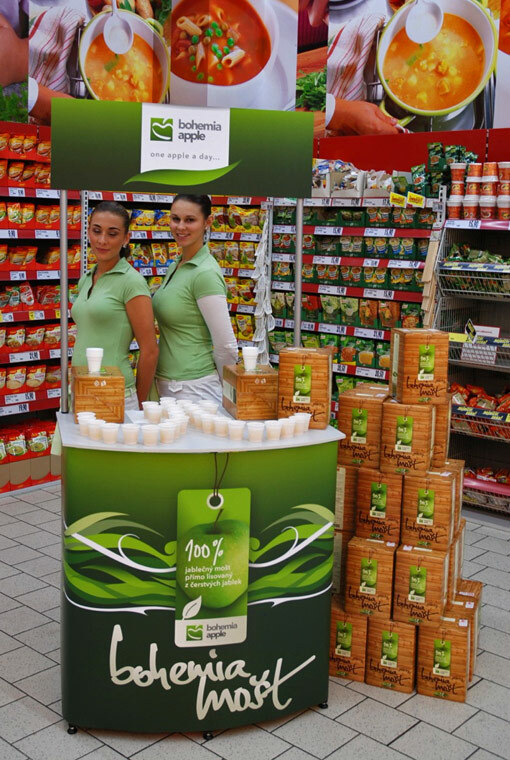 It´s 100% pure apple juice made of fresh compressed apples which come only from Czech Republic. Bohemia Apple juice has been sold within special offers at Kaufland department stores that last always one week or until sold out. Those samplings are regularly repeated at intervals of 5 weeks throughout the year. 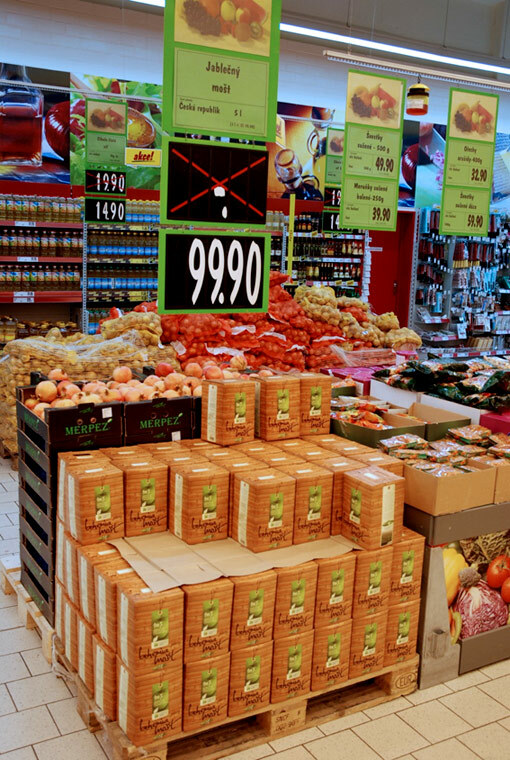 You can also buy apple juice at Globus and Penny department stores and at company´s shop of Bohemia Apple situated in Tuchoraz and on selected farmer´s markets. It’s a 100% apple juice with pulp without any kind of added sugar. This product contains of natural sugar only and is without any added aroma, coloring and chemicals. There can be found some potential sediment but it’s only a proof of natural product. Apple juice is made only of apples coming from Czech Republic. Apple juice’s color is affected by variety of apples made of so that is why each package can look differently. Storage and shelf life: keep at temperature of 7 °C and use withing 3 weeks after opening. The expiration date is 1 year. Recommended store in dry and dark place. Fruit growing in the Czech Republic has over 400 years of history. There are relatively few areas worldwide where is possible to grow fruit with very aromatic and taste characteristics like in certain areas in Czech Republic, such as near Kolín, which may include Tuchoraz. Tuchoraz in Cesky Brod has a tradion of growing apples for almost 300 years. Apple orchards in Tuchoraz are one of the largest in the Czech Republic. Cider is made from apples that meet requirements and analysis mainly of ecological methods and increased environmental protection and human health.